Can You Do Anything to Help Prevent ACL Tears? More than 200,000 people experience a torn ACL each year, according to the University of California San Francisco Medical Center’s Department of Orthopaedic Surgery. Not only are ACL tears painful, but they also must be repaired properly to prevent future problems. Learning how to prevent ACL tears can help you stay active and avoid costly injury. The anterior cruciate ligament (ACL) is one of the four primary ligaments in the knee joint. Ligaments are tissues that connect bone to bone. 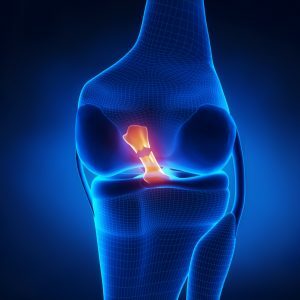 The ACL connects the back part of the femur (large thigh bone) to the front part of the tibia (shin bone). Thus, it runs diagonally across the knee joint as you view the knee from the side. The knee ligaments work together to stabilize the joint, preventing the bones from shifting in place. The ACL provides 90 percent of the stability in the knee joint, making it crucial for proper orthopedic functioning. When a blow hits the knee in a certain way, it causes the ACL to stretch or tear. This physical tearing of the ACL ligament must be repaired by an orthopedic surgeon. The majority of ACL tears occur among people younger than 25. Sports are the primary cause of injury. Given the anatomy of the ACL, there are characteristic injuries that make it likely to tear. The ACL is most vulnerable to tearing when a person suddenly changes direction or twists. This might occur when a person stops suddenly, lands from a jump, or receives a blow from the side. ACL tears are common injuries among people who play football, soccer or basketball. It is usually immediately apparent when the ACL is torn. Often, the patient reports hearing the joint pop at the time of injury. Within 24 hours, the knee joint swells and becomes painful, making it uncomfortable to put weight on the joint. Fortunately, athletes can prevent ACL tears through proper conditioning. First, it is always important to warm up before working out. Stretching the leg muscles prevents orthopedic injury. Additionally, adding balance and agility drills strengthens and stabilizes the knee. This makes it less likely that jumping or twisting will cause injury. Plyometric exercises such as jumping are good ways to strengthen the knees. If you’ve suffered an ACL tear, ask your orthopedic specialist how to prevent future injury. Southeast Orthopedic Specialists have experts in sports medicine who can advise you how to avoid harming your knee again.